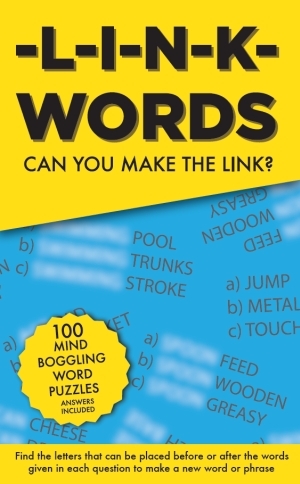 Welcome to this fun collection of 100 link word puzzles. 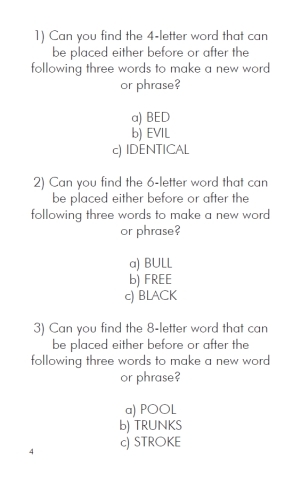 These puzzles are simple to understand and play, but can be surprisingly tricky to solve! Which six-letter word links the following: a) TABLE b) CUP c) BREAK The answer is 'coffee' to make coffee table, coffee cup and coffee break. We hope you enjoy the 100 word linking challenges contained within this book!